Maximum Pressure: 4050 PSI, Maximum Temperature: 195°F. Currently enjoying our 30th year in business, Water Cannon continues to lead the pressure washer industry in innovation. Our newest wet sand blasting kit is designed to remove unwanted surface contamination such as rust, scale, loose paint, barnacles and debris. The sand and high pressure water work together using venturi siphon technology to more safely clean metals, concrete and other similar surfaces. 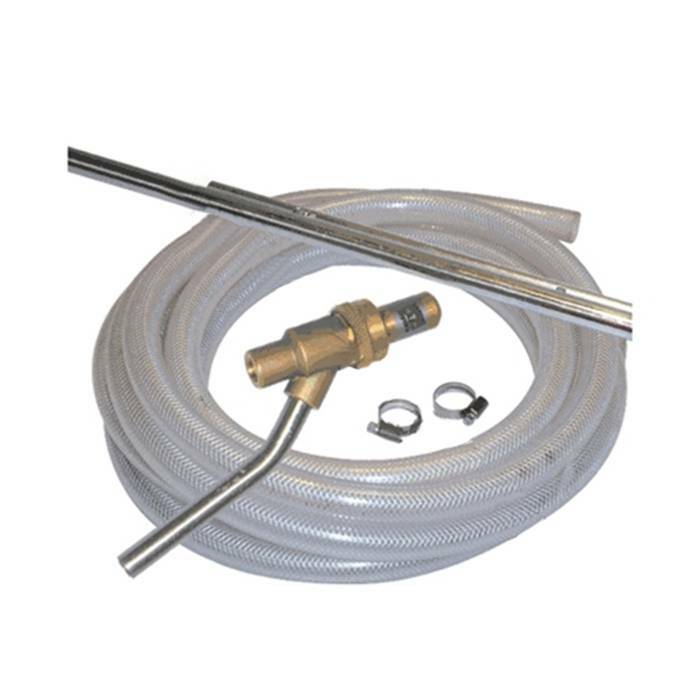 This Wet Sand Blast Kit simply quick connects to the end of a commercial pressure washer wand. This draws sand automatically through a 26' reinforced lightweight feed hose by using an engineered self venting pickup tube. The venturi siphon technology eliminates the need for an air feed system or other heavy and bulky equipment. It is based on the principle by which you can draw a product through a vacuum due to the pressure and velocity of another product.